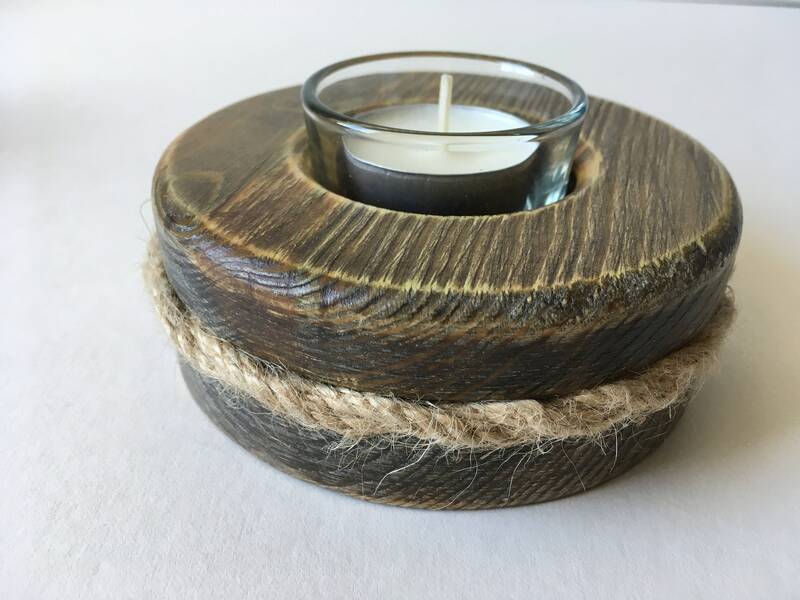 The handmade rustic tea light holders are made from reclaimed soft wood with a dark stain & waxed finish. 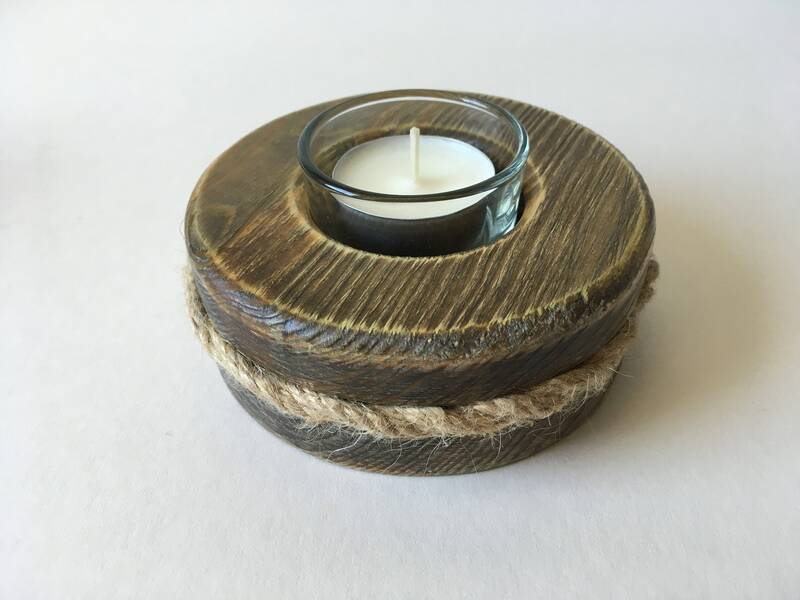 Included is a glass insert and a handmade soy wax tea light made by us. It has a twisted twine detail around the side.